Problems with the POD-Bot 3.0 b22 - . :: Bots United ::. Most importantly it has given me a window into a time when boats were to appear in the game. Since You are 100% sure You have done everything right, I cannot help You. In most cases - don't use dproto and don't use no-steam - Podbot 3VB22 is incompatible with them. 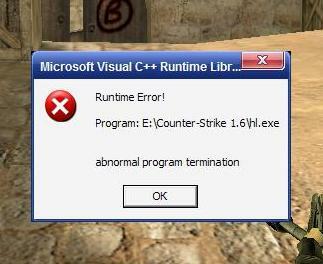 Do you mean that in the STEAM version cs 1.6 free dproto bots can not work? Maybe on other boards You can get the support for dproto and bots, but not here. dproto is used to let users with no-steam version of CS play on the same server with steam users, but it leads to other troubles I don't mind to support. Thanks, I think I solved the problem myself, just downloaded the source code to compile and install bots no more problems! Damn, still flies but now at least understand that there is a reason for this, is that the Counter-strike is not intended to install mods, it is a regular client of game that would play on the servers, and not in order to make the server! Changed build Coutnter-strike and everything works fine!